If Earthly tones are your thing and you like to travel… look no further! 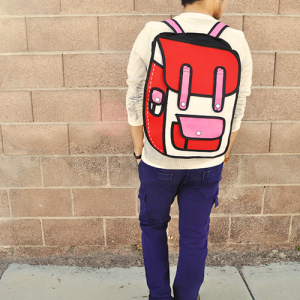 This is the 2D Bag fit for you. Definitely out of this world. Has enough space for my ipad and clothes that I need to lug around and my friends are jealous. Everyone asks if my 2d bag is photoshopped in pictures. They are shocked when they find out that the bag is real. Yes an earthy tone had to be done for this 2D Bag. Simple and clean just how many like it to match with their earthly khakis and shoes. 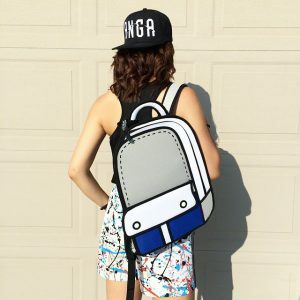 You can now travel in style with this Travel 2D Bag and stand out completely without any bold colors! Sometimes less is more and it’s definitely a more situation when you grab this bad boy! 2. Able to store large items such as textbooks, or even a laptop. 3. Able to store smaller items such as tablets, phones, pens, clothes, and more! 4. Outer water resistant canvas material to protect your valuables.